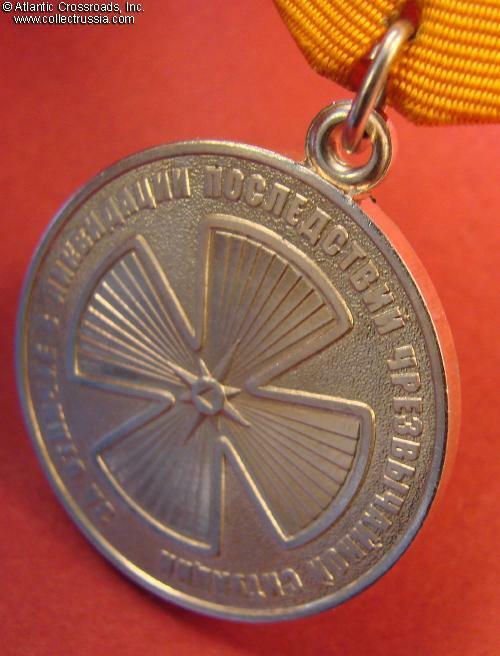 Medal for Distinction in Liquidation of the Consequences of Emergency Situations, MChS (Ministry of Emergency Situations) of Russian Federation. 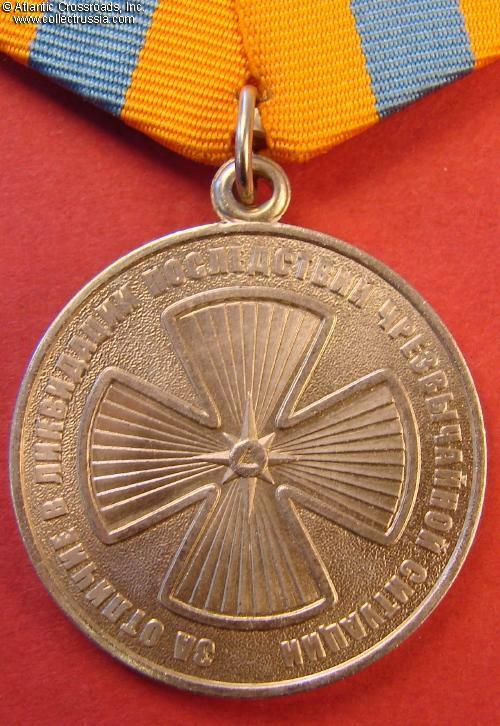 In German silver, 32.2 mm wide. Excellent, near mint condition. 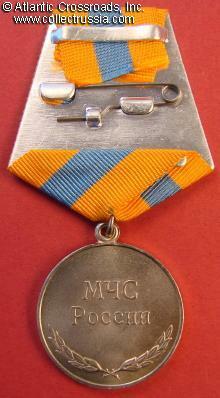 This official medal of the MChS was established in 2005 as the first award of the newly created ministry. 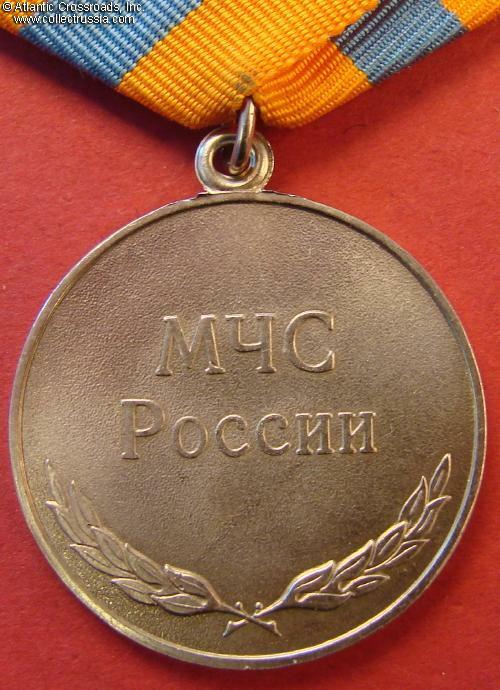 Unlike many other medals and badges issued by governmental agencies and ministries, this medal has a special status as essentially a lifesaving award. 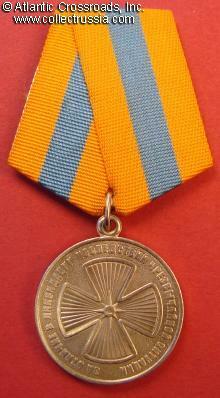 In most cases, it is awarded for direct participation in rescue efforts - this is not merely a decoration for length of service.